People often hear the term statute of limitations on television shows such as “Law and Order” when dealing with criminal cases, but rarely think of the statute of limitations terms of civil cases. While this makes for very exciting television, the reality is that in the real world, the opposite is generally true. Many crimes do not have a statute of limitation meaning that a person could be on the run for decades and still be tried when they return to the proper jurisdiction. These are only some of the different time limits in the Commonwealth of Massachusetts. In addition to these, and various others, there are also notice requirements that have nothing to with the actual statute of limitations. If plaintiff is going to file certain types of claims or sue certain types of defendants, there may be a requirement to put the defendant on notice in far shorter amount of time than the statute of limitations provides. Therefore if the plaintiff misses a notice deadline, he or she may have no options for recourse and this is situation that should be avoided at all costs. The way to for plaintiff to avoid this fate is to speak with an experienced Boston personal injury lawyer as soon as possible after the accident to make sure this does not become a problem. These are however fact based issues so personal injury victims should speak with an experienced attorney as soon as possible make sure are deadlines are met. If a plaintiff does not file his or her action within the time provided in the statute of limitations, courts are generally unforgiving and will not make any exceptions. There are however, certain exceptions built into the statute itself. For example, in Chapter 260, Section 7, it states that there is an exception for minors and incapacitated persons. In this respect, being a minor, under the age of majority, is considered an incapacity. Under this provision, once the incapacity has been lifted, the plaintiff will have the typical time provided in the appropriate statute of limitation to file a timely complaint. For example, if a tort is committed against a child and the child has no way to bring an action, the child may be able to bring the personal injury action in the normal time of three years following turning the age of 18. This is rarely seen because typically a parent would be able to bring the action in the child’s name, to avoid this issue and most people to do not want to wait years to get a full and appropriate financial recovery for their child. This is not to say it never happens, and when it does, it is often a child who has some type of conservatorship or trust and the child gets taken advantage of by an scrupulous trustee. In that case, there would be nobody to file a claim for so the child would be given the extra period tome following turning age 18. This time when the child is a minor is called a tolling period for the purposes of the statute of limitations. Another exception is known as the discovery rule, and we typically see this in medical malpractice actions. As a general rule, the time starts to run when the harm occurs. 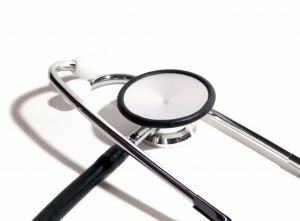 In a medical malpractice case, it is often possible for plaintiff be harmed, but cannot possibly know about the injury until a later time, often years later. These are the cases where a person complains of pain and finds that a surgical clamp was left in them from the operation years ago and must be removed. In this cases, the statute of limitations may not run until plaintiff could have possibly discovered the tort.